Pacific Northwest Agricultural Safety and Health Center projects are multidisciplinary and respond to a variety of needs, from health care and monitoring to safety engineering and training. Address hazards that are the most serious, affect the greatest number of workers, and where that research will make a difference. Meet the needs of Northwest employers, workers, and service providers. We have established a process that engages constituencies from agricultural, health, and safety to help us establish research priorities. View a downloadable pdf of our current active projects or sort research priorities by status, type, or topic area (below). (NIOSH 2014-2017) Our previous survey on personal and family health in agricultural families, revealed stress-related behavioral health problems. The purpose of this project is to identify agricultural work stressors and provide training for farm owners and farmworkers to reduce workplace stress. Leibman AK, Augustave W. Agricultural health and safety: Incorporating the worker perspective Journal of Agromedicine, Online publication July 27, 2010. Hofmann JN, Crowe J, Postma J, Ybarra V, Keifer MC. Perceptions of environmental and occupational health hazards among agricultural workers in Washington State. (NIOSH 2016-2021) This partnership study with WSU will enroll new workers in the dairy industry and evaluate microbiome changes over time. We will characterize worker exposures to microbes and allergens and evaluate whether these exposures impart immune benefits (the ‘hygiene hypothesis’), and/or increase risk of disease, including infection and airway inflammation. This study will help identify priorities for preventive interventions and healthy host adaptation to the dairy environment. (NIOSH 2011-2016) This project aims to minimize agricultural worker and family pesticide exposure in the tree fruit industry by translating and disseminating research results and overcoming barriers to pesticide safety practices, particularly those that affect the large Hispanic workforce in the Pacific Northwest. (NIOSH 2006-2011) This project expanded an analytical method used for cholinesterase monitoring in pesticide handlers by acquiring additional, custom-synthesized analytical standards to improve the accuracy and precision. Isaksen TB, Yost M, Hom E, Fenske R. Projected health impacts of heat events in Washington State associated with climate change. Rev Environ Health. 2014;29(1-2):119-23. Fenske RA, Farahat FM, Galvin K, Fenske EK, Olson JR. Contributions of inhalation and dermal exposure to chlorpyrifos dose in Egyptian cotton field workers. Int J Occup Environ Health. 2012 Jul-Sep 18(3):198-209. (NIOSH 2016-2021) Building on our previous heat-related illness (HRI) studies, we will develop and evaluate a multi-level approach to address HRI for farmworkers in the tree fruit industry. The project will assess a proposed work-based intervention program as well as whether off-hour environmental conditions contribute to risk for HRI during work. To accomplish study aims, an Expert Working Group (EWG), that includes workers, farm managers, and other stakeholders will guide the development, testing, and dissemination of the intervention. Thompson B, Coronado GD, Vigoren EM, Griffith WC, Fenske RA, Kissel JC, Shirai JH, and Faustman EM. Para Niños Saludables: A Community Intervention Trial to Reduce Organophosphate Pesticide Exposure in Children of Farmworkers. Environ Health Perspect. 2008 May; 116(5): 687–694. PMID: 18470300. (NIEHS 2014-2019) The primary goal of the HAPI project, made possible through El Proyecto Bienestar, is to reduce exposure to inflammatory agents and allergens in the homes of an environmental justice community of Latino children residing in an area of intense dairy and crop based industrial agricultural production. (NIOSH 2016-2021) Commercial fishing remains among the most dangerous occupations in the United States. This project seeks to broaden injury surveillance in this industry by developing a surveillance resource, allowing for tailored hazard assessments, and sustaining crucial regional partners for commercial fishing safety. (NIOSH 2006-2011) Children living in agricultural communities have the potential to be exposed to pesticides from residue from the clothes and shoes of family members working in agricultural operations. This longitudinal study seeks to explore the relationship between home exposure to organophosphate pesticides to neurobehavioral performance in children to examine neurodevelopmental changes. (NIOSH 2016-2021) This project will identify and evaluate solutions that farm managers, forest service managers, and pesticide handlers can implement to minimize pesticide exposures. The new resources will be applicable to the revised EPA Worker Protection Standard and recent food safety requirements. We will engage workers and managers in walk-through evaluations and field testing to identify key safety issues and novel solutions. This project will deliver the solutions through expanded hands-on pesticide training modules and the use of online media to ensure broad access. (NIOSH 2011-2016 and WA State MAAF 2012-2013)This project developed an assay to improve understanding of worker exposures to a wide range of organophosphate (OP) pesticides and advanced the method for potential use in field and clinic settings, providing rapid feedback to workers, clinicians, and physicians. Hofmann J, Guardado J, Keifer M, Wesseling C. Mortality among a cohort of banana plantation workers in Costa Rica. Int J Occup Environ Health. 2006 Oct-Dec;12(4):321-8. PMID: 17168219. Rodriguez T, Younglove L, Lu C, Funez A, Weppner S, Barr DB, Fenske RA. Biological monitoring of pesticide exposures among applicators and their children in Nicaragua. Int J Occup Environ Health. 2006 Oct-Dec;12(4):312-20. PMID: 17168218. (NIOSH/CDC, 1991-2002) This investigation focused on the measurement of pesticide exposures in children of agricultural producers and farm workers and an analysis of risks associated with such exposures. It also explored new exposure assessment methods for evaluating exposure and risk in these populations. The project demonstrated that soil and house dust concentrations in and around the homes of agricultural families are significantly higher than those found for reference families in the same community, and that such patterns continue over several years. (CDC/NIOSH 2009-2012) Climate change will have serious and long-term consequences for public health. The greatest impacts will be in cities with milder summers, less air conditioning and higher population density, which are characteristic of the Pacific Northwest. A multi-disciplinary team of UW scientists will evaluate the impact of climate change on human health in the Pacific Northwest, work with local communities to study health risks that will likely occur in the next 35 years and uncover how communities might mitigate those risks. Neitzel R, Yost M. Task-based assessment of occupational vibration and noise exposures in forestry workers. AIHA J. 2002;63:617-627. Community Health Interventions with Yakima Ag Workers "El Proyecto Bienestar"
El Proyecto Bienestar (EPB) or, Well Being Project, is a long standing community health intervention effort guided by a Yakima Valley community advisory board and a partnership of: The University of Washington; Northwest Communities Education Center/Radio KDNA; Heritage University; Yakima Valley Farm Workers Clinic. Keifer MC, Firestone J. Neurotoxicity of pesticides. J Agromedicine. 2007 Dec;(1):17-25. PMID: 18032333. Miranda J, Lundberg I, McConnell R, Delgado E, Cuadra R, Torres E, Wesseling C, Keifer M. Onset of Grip- and pinch- strength impairment after acute poisonings with organophosphate insecticides. Int J Occup Environ Health. 2002;8(1):19-26. Burgess JL, Brodkin CA, Daniell WE, Pappas GP, Keifer M, Stover BD, Edland SD, Barnhart S. Longitudinal decline in measured firefighter single-breath diffusing capacity of carbon monoxide values. A respiratory surveillance dilemma. Am J Respir Crit Care Med. 1999;159(1):119-24. (WA State MAAF 2012-2014) Farmworker exposure to agricultural pesticide drift is a high priority issue. In May 2014, the Washington Department of Health (WA DOH) alerted state agencies and growers of a spike in pesticide spray drift illness cases among orchard workers. Over a two-month period, approximately 60 individuals were exposed to pesticides in 15 drift events, which is equal to the number of cases that the agency normally sees over the course of an entire year. In response, there have been calls for improved communication between farms, sprayers, and crew members. (NIOSH 2011-2016) This project evaluated interventions designed to reduce worker exposure and risk during pesticide applications in tree fruit. Bringing together land grant universities, industry, producers, and workers, this work sought to ensure that the decision process used for adopting new pesticide products and new spray technology development includes worker health and safety. (NIOSH 2014-2017) The forest service workforce in the Pacific Northwest is largely immigrant, low-literate and Spanish-speaking with unique vulnerabilities due to a lack of skills and safety training, occupational immobility, remote work locations, and small contractor employment. This research-to-practice project will examine how working conditions for Latino immigrant forest workers contribute to work-related injuries and illnesses. Rohlman DS, Lucchini R, Anger WK, Bellinger DC, van Thriel C. Neurobehavioral testing in human risk assessment. Neurotoxicoloy. 2008 May;29(3):556-67. Phung DT, Nguyen HT, Mock C, Keifer M. Occupational injuries reported in a population-based injury survey in Vietnam. Int J Occup Environ Health. 2008 Jan-Mar;14(1): 35-44. PMID: 18320730. (NIEHS, 2000-2004) The work of the PNASH Center has led to improved methods of dermal exposure assessment for agricultural workers and more accurate models for dermal absorption of pesticides. Our work with the direct-reading ATR-FTIR method shows promise as a rapid and inexpensive method for determining pesticide concentrations on the skin and uptake rates. (NIOSH 2016-2021) This project aims to understand the mechanisms of pesticide drift exposure among agricultural workers and prevent such exposures in the future. We will link data from the WA Department of Health and WSU Ag WeatherNet to determine the probability of drift events due to environmental conditions during spraying, develop a predictive model, and conduct field studies to validate our model. Study findings will be used to provide new user-friendly tools and trainings to predict drift event-prone weather conditions. (NIOSH/CDC, 1989-2002) Lead arsenate was used in large quantities in orchards in Washington State for about four decades. Although lead arsenate is no longer used in the fruit industry, residual contamination is evident in orchard soils. Several potential routes of exposure to children exist. Adult workers in the orchards may inadvertently transport soil and dust to their homes or children residing in close proximity may play in the orchards. Orchard land may also be subdivided and converted to residential property. (NIOSH/CDC, 1993-2000) The overall goal of this study was to determine whether farm workers who thin fruit trees exhibit neurological changes following one season of exposure to low levels of organophosphorus insecticides compared to workers who were not exposed. Data were collected 97 in follow-up testing. A wide ranging number of tests, including peripheral and central nervous system function, were applied to both groups. Cholinesterase was measured both after the exposure season and after the period of non-exposure. (PNASH Pilot, 1995-2000) Researchers characterized the relationships between various bioaerosol-related assays during composting operations using agricultural wastes. The assays included were standard microbiological assays (high and low temperature incubation for fungi and bacteria) on samples taken on filter cassettes, 1-3 b d glucan, possibly 1-6 b d glucan, and an extracellular polysacharride (EPS) specifically associated with aspergillus and penicillium species. (NIOSH/CDC, 1995-2000) In 2004, the state of Washington began requiring the medical monitoring of farm workers who work frequently with high toxicity pesticides. Washington follows only California in adopting this type of policy, presenting the opportunity for creating a model program. PNASH helped the state build the program by ensuring that there are well-developed and evaluated training programs for the medical providers who will work with employees and employers, and informed consent procedures for participating workers, many with low literacy. (NIOSH/CDC, 1995-1998) This project sought to expand and validate an icon based occupational history questionnaire for use with Hispanic migrant and seasonal farm workers. The questionnaire was specially designed to obtain lifetime work histories from illiterate or semiliterate subject for use in long-term exposure studies and has been well-received by both interviewers and subjects. It was adapted for use in leukemia/brain cancer studies in Costa Rica and is available for use to other researchers. (NIOSH/CDC, 1996-2001) This project explored the way specific demographics, context, process, and outcome factors influence farm health and safety decisions made by women who are farmers, farm wives, or partners. The intervention program designed for women and their farm partners was based on the results of this project’s initial research. It included safety farm assessment training for farm women and an evaluation component to measure the impact of the training and its effectiveness. (NIOSH/CDC 1996-2001) Aerosolized crab antigens are suspected etiologic agents for asthma among crab processing workers. The goal of this study was to characterize crab antigen levels in processing facilities in relative to the prevalence of respiratory symptoms. Industry and labor representatives in the Northwest have identified respiratory illness, specifically asthma, among those who process crab. In addition, industry representatives have noted difficulty in determining which processing areas may be associated with the greatest risk. (NIOSH/CDC, 1996-2001) The EWU Center for Farm Health and Safety developed a successful program that uses Spanish-language theater to provide farm workers with information on health hazards and prevention strategies. Based on data gathered from health and safety literature, key informant interviews, and a farm worker focus group, it was apparent that health and safety education must be sensitive to the literacy and language constraints of this worker population. (NIOSH/CDC, 1996-2001) The extent and severity of agricultural health and safety hazards are largely unknown in the Pacific Northwest region. This project was designed to engage various constituencies familiar with agricultural health and safety throughout Region X. (NIOSH/CDC, 1996-2002) The objectives of this project were to: quantify the impact of dermatitis on the farming and forestry work force; characterize the most important causes; and develop interventions to control the major causes of farming and forestry workplace dermatitis in Region X. This project also explored pre-collected data systems for use in characterizing dermatitis in commercial fishing. (NIOSH/CDC, 1997-2000) The Magic Valley SAFE KIDS Coalition, based in Twin Falls, Idaho, collaborated with Center investigators to evaluate the effectiveness of the animal handling component of their Farm Safety Day Camps. The project identified observable and measurable safe animal handling behavior, tested the pilot evaluation tool for reliability, and refined the tool. (NIOSH/CDC, 1997-2000) The objectives of this cross-sectional questionnaire study were to: estimate the frequency of injuries among Washington state purse seiners; identify major injury patterns among seiners; characterize the most hazardous tasks and potential methods for intervention among the purse seiner fleet. Self-reporting and self-mailing questionnaires were distributed to the purse seiner fleet during the fishing season in southeast Alaska. The vast majority of these boats are owned and operated by Washington state residents. (NIOSH/CDC 1997-1999) University of Idaho Departments of Agriculture Communications and Biological and Agricultural Engineering, Oregon State University, and Washington State University, developed a series of Agricultural Safety and Health fact sheet publications that were made available within the Pacific Northwest Region. (NIOSH/CDC, 1997-2000) During the past decade, the apple warehouse industry in Washington state has grown considerably, both in production and technology. Up to 15,000 employees work in warehouses with a large percentage of women. Approximately two-thirds of these workers are of Mexican descent. Both management and labor have identified health and safety concerns in the industry, such as musculoskeletal diseases, carbon monoxide poisoning, and slips and falls. (NIOSH/CDC, 1998-2000) The Skagit County Cooperative Extension office and their community sponsors have developed an annual Safety Workshop to train young workers on tractor and farm machine safety. They invited PNASH to evaluate its effectiveness. We developed a child-relevant safe behavior self-assessment tool; composed additional farm safety and environmental health curriculum to complement the Safety Workshop; assessed parental attitudes about farm health and safety; and evaluated the needs of underserved Hispanic youth in Skagit County. (NIOSH/CDC, 1998-2002) Workers in the forest industry are exposed to a number of sources of hand-arm and whole-body vibration, including a variety of hand tools and heavy equipment. Vibration exposure in forestry workers has been associated with negative health effects such as hand-arm vibration syndrome (HAVS) in several countries. The development of HAVS, or any of the ailments it encompasses, can force workers out of their employment by preventing them from performing their normal job tasks. (NIOSH/CDC, 1999-2000) Direct assessment of the proportion of teenagers working in agriculture and the percent injured is sparsely reported in the literature and has not been performed in the Northwest United States. This project estimated the proportion of teenage children who work for pay in agriculturally related jobs in a rural town in Washington's Yakima Valley. (NIOSH/CDC, 1999-2001) The specific aims of this project were to estimate the one-year, cumulative incidence of work-related injury, and determine the type of medical treatment sought for agricultural-related injuries and the reporting of work-related injuries to the Washington state workers’ compensation system by Hispanic agricultural workers 18 years and older. A random digit dial survey was conducted of 1600 households in Sunnyside, Washington. (PNASH Pilot, 1999-2000) This project was designed to investigate the feasibility of measuring pesticide exposure using saliva in children. Conventional biomonitoring methods, such as blood and urine collections, have several, inherent practical limitations, which prohibit its application to large-scale studies or to studies involving sub-populations, such as children. Saliva biomonitoring could provide a useful tool for researchers in determining not only the exposure to certain chemicals, such as pesticides, but the absorbed dose as well. (NIOSH/CDC, 2000-2001) Researchers evaluated a Washington State Department of Labor and Industries’ accident prevention program implemented by their Yakima regional office in Kittitas, Grant, and Adams counties. The three-year injury prevention program aimed to reduce the frequency and cost of claims that are related to falls from ladders in the orchard and to eye injuries. Researchers conducted semi-structured interviews with farm workers who were injured on the job following a fall from a ladder and who filed a claim prior to the L&I implementation of the prevention program. (NIOSH/CDC, 2000-2002) This project evaluated noise exposures and hearing conservation practices in selected agricultural industries identified as having high numbers and/or incidence rates of workers' compensation claims for hearing loss. The proposed project augmented an ongoing, NIOSH-funded study (Daniell, PI; 1-R01-OH03894-01; "Epidemic occupational hearing loss in Washington State"). The PNASH support expanded the study to include agricultural industries with worksites beyond the planned study area. (NIOSH/CDC, 2001-2007) This study found that ladders were the leading cause of orchard injuries, accounting for 30% of injury claims and costing $21.5 million over a six-year period. Ladder accidents were a consequence of unstable placement, over-extension of the third leg, slipping while descending, or being struck by a falling ladder. These hazards most commonly resulted in sprains and strains, eye injuries, and fractures and dislocations. Study results were drawn from comprehensive review of injury claims and personal interviews. (NIOSH 2001-2004) The EWU Center for Farm Health and Safety developed a successful program that uses Spanish-language theater to provide farm workers with information on health hazards and prevention strategies. Based on data gathered from health and safety literature, key informant interviews, and a farm worker focus group, it was apparent that health and safety education must be sensitive to the literacy and language constraints of this worker population. Theater was selected as a method of providing farm health and safety education because it does not require a high level of literacy. (NIOSH 2001-2006) This series of field-based studies has confirmed that agricultural pesticides are moving from the workplace to workers’ homes and that commuter vehicles play a role in this transmission. A major finding of the intervention development and evaluation is that vacuuming personal vehicles significantly reduces pesticide residues found in workers’ homes. PNASH will be widely promoting the practice of vehicle vacuuming and will be continuing to develop practical and effective workplace interventions designed to interrupt the take-home pathway. (NIOSH 2002-2004) In an effort to reduce wildland firefighter injury and illness, PNASH worked with the USDA Forest Service and Blackbull Wildfire Services to characterize injuries to wildland firefighters. The study collected injury data from major Northwestern fires in the 2000 season and analyzed the association between the type, severity and rate of injuries, the class of firefighter involved, and the time spent fighting the fire. (NIOSH 2002-2004) The aim of this project was to investigate farm workers’ exposure to agricultural burning smoke and the resulting airborne pollutants and to assess the potential health hazards. Washington State University was our principal partner on the project. The results showed acute exposure at levels far higher than the EPA’s National Ambient Air Quality Standard and the occupational standards for respiratory dust. (NIOSH 2002-2003) With this project, PNASH developed an audiotape survey to assist in the diagnoses of farm worker patients with depression or other mental illnesses. 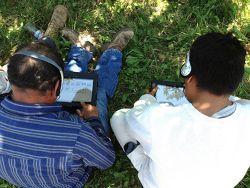 This tool was developed for farmworkers who speak Spanish and have limited literacy skills. Our study found that the self-administered, tape recorded survey was reliable for diagnosis of mental illness. These audiotapes are available for use by health care providers. (EPA/NIEHS 2004-2014) Children of agricultural producers and workers can be exposed to pesticides and other agricultural chemicals if workplace chemicals are inadvertently brought into their homes. (NIOSH 2004-2007) Eastern Washington University’s Center for Farm Health and Safety used videotaped Spanish language theater, hands-on demonstrations and practice, and photonovela handouts to train workers on sound ergonomic practices. More than 200 migrant and seasonal orchard and packinghouse workers and their supervisors were trained in Washington. (WA Sate MAAF 2004-2007) Through educational courses and workshops, we provided health care professionals with current scientific information regarding neurodevelopmental health risks for children with exposure to OP pesticides. This information was needed to understand the known, and sometimes uncertain, health risks to their pediatric patients. Based on our audience research, PNASH developed educational formats that meet health care professionals' need for current scientific information. Tractors remain the leading cause of death and serious injury in US agriculture. The NIOSH Agricultural Centers collaborated to create a national injury prevention program to address this problem. We conducted focus groups as background to promote the initiative and work with national partners to develop communication materials. (NIOSH 2005-2011) Lead by Dr. Matthew Keifer, the goal of this project was to improve the training of health care providers in the diagnosis, care, and prevention of pesticide poisonings among those who work with pesticides. This project advanced the EPA’s goal to protect human health and address the intent of the Pesticide Registration and Improvement Act through improved poisoning reporting. (WA State MAAF 2005-2007) We provided the farming community with educational resources to promote the understanding of current science regarding the risks of OP pesticides. Our survey of producers and pesticide handlers in Washington state showed that respondents most often obtained their information on pesticides from product labels and dealers. They expressed interest in learning more about acute pesticide illness, cancer, ChE testing, and children's health. The survey also showed the preferred route for received information to be from conferences, recertification classes, or articles. (NIH through the Idaho Mountain States Group 2005-2011) This partnership with the Idaho Mountain States Group addressed health disparities among Idaho Hispanics. We advised on community-based participatory research methodologies and provided research and health care expertise to help communities address safety and health interests. Community health workers are key in research and prevention, teaching about metabolic syndrome, and leading healthy eating and exercise programs. (NIOSH 2006-2011) ‘Reality tales,’ used Northwest workers’ injury experiences to teach critical prevention strategies. This project used the oral tradition of storytelling to translate health and safety research and education for agricultural producers and workers on two critical issues: ladder injuries and heat stress. The use of stories to communicate information, values, and lessons is an effective educational strategy. (NIOSH 2006-2011) PNASH’s previous outreach director Helen Murphy, is known in Northwest agriculture as Nurse Murph or Enferma Elena. During her time at PNASH, she provided concise reviews on farm safety topics, sharing the state-of-the-science and injury and illness prevention strategies. Nurse Murf was a syndicated column, that shared medical and safety information for those that work in farming. (NIOSH 2006-2011) This project evaluated the feasibility and functionality of integrating a portable testing kit, the Test-mate ChE test system, into the existing state-wide cholinesterase monitoring program administered by Washington State OSHA (known as WISHA). The aim was to enhance and simplify worker monitoring of pesticide overexposure for certain agricultural workers. We have shown the Test-mate™ kit to be an effective, cost-efficient test that can provide rapid results for workers – important if they are shown to have a ChE depression. (NIOSH 2006-2011) This study seeks to investigate determinants for overexposure to organophosphate and methylcarbamate pesticides by exploring and characterizing the risks among pesticide handlers participating in the Washington State ChE monitoring program. (NIOSH 2006-2011) This two-year exploratory project investigated a probable cause of Yakima County’s high rates of diarrheal illness – bacterial pathogens from livestock, taken home or in well water. It is hypothesized that occupational and environmental exposure pathways from livestock operations pose a significant risk of exposure to zoonotic bacterial contamination for farmworkers and their families. This study demonstrates the effectiveness of currently available methods for recovery of example bacteria from various surfaces. These methods are available to exposure science researchers. (NIOSH 2006-2011) This field-based study identified, evaluated and disseminated practical pesticide safety measures that reduce pesticide exposures of agricultural workers and their families. These measures were developed on farms and brainstormed by a team of industry experts that included managers, workers, and pesticide safety educators. (NIOSH 2006-2011) The ChE Test Kit has been used in countries around the globe and has been reported upon in many studies in the published literature. It has shown good performance when compared to laboratory-based systems. Easy to apply in a clinician’s office, the Test-mate can substantially reduce the time necessary to detect a cholinesterase inhibitor overexposure and will speed the response of the clinician with regard to removing over-exposed workers. (NIOSH 2007-2009) Organo-phosphorus pesticides (OPs) have widespread commercial application in the United States and worldwide, and their primary toxicological effect is associated with inhibition of cholinesterase (ChE). In Washington State, cholinesterase activity is measured in farmworkers expected to have high exposures to OPs, and when depression in cholinesterase activity is observed, remedial actions are undertaken to reduce exposures and protect worker health. (Laura Jane Musser Foundation, 2008-2009) This stakeholder driven project aimed to reduce un-permitted harvesting of special forest products (SFPs) in the Forks, Washington area and increase the overall health of the environment and the workers. In a one-year effort, the Sustainable Harvest project brought together harvesters, public and private landowners, and local city and tribal government representatives. (PNASH Pilot, 2009-2011) In the US, logging is among the top three most dangerous jobs, and when all factors are considered, logging is likely the most dangerous job and the most exertive work. Data in OR, WA, and ID show that 50% of loggers are at least 45 years old - and that percentage is growing. This pilot project assessed the ergonomic and economic benefits of using synthetic rope to replace wire rope in standardized logging tasks for older workers (>age 40) compared to current practices and younger workers. (NIEHS/CDC 2009-2014) This community-based project characterized ambient triggers of asthma in the rural setting by following 50 (children and adults) asthmatic community participants, mapping their exacerbations and comparing these with known agricultural exposures. (WA State MAAF 2009-2011) The PNASH Center worked to 'design-in' safety measures into developing agricultural technologies, such as mobile platforms. Mobile platforms are self propelled and self guided all terrain vehicles with an adjustable height platform that carry a team of 4-8 workers through the orchard at very low speeds (<1 mph) allowing for rapid and repetitive hand work without the change in position or tasks associated with ladder work. This change, if not carefully researched and implemented, could have adverse health, safety, and economic outcomes. (NIOSH 2011-2013) This project collaborated with Hmong refugee farmers in Washington State to identify and address farm hazards using novel community-based participatory approaches along with conventional industrial hygiene methods, and a systematic assessment of the working conditions and practices of Hmong refugee farmers. (NIOSH 2011-2016) Tree-fruit activities such as pruning, structural cutting, and green fruit thinning, are high-intensity labor activities traditionally performed on the ground or on ladders. To explore the impact of new technology on worker strain and injury, this project conducted a comparison between three different treatment groups: ground, ladder, and harvest-assisted mobile platforms. (NIOSH 2011-2016) This project partners with Washington State University to reduce pesticide use in dairy operations by introducing Integrated Pest Management (IPM) practices in these workplaces. We are working with a network of participants to develop a robust and practical IPM program that provides evidence for cost-effective interventions that can reduce pesticide usage in these farm operations. (WA State MAAF 2011-2013) This project responded to a pressing need to examine non-fatal fishing injuries data in order to identify areas where interventions are most needed to prevent injuries. (WA State MAAF 2012-2014) This project expanded the use of two recent PNASH-produced Spanish radio programs on ladder safety and heat-related illness prevention into a video tool for farmworker training. (WA State MAAF 2012-2014) This project responds to specified PPE needs for the tree fruit and related industries in Washington State that can reduce pesticide handler exposure and pesticide-related pesticide-related illness. (NIOSH 2014-2017) This project examines the association between heat exposure and traumatic injury risk in agricultural workers, the relationship between heat stress and productivity, and the feasibility of using a biomarker of heat acclimation to detect workers at risk for heat-related illness and injury, with the ultimate goal of prevention. they perform, forest management practices, and goals. (NIOSH 2016-2021) Dairy workers in Washington State have an injury claim rate 72% higher than the state average. The hazards of animal assaults, slips, trips and falls are exacerbated by a growing hired workforce that has little previous experience in this industry. This project is designed to deliver and evaluate worker safety training, and will include newly hired workers recruited for the Healthy Dairy Worker Study. The project, conducted in partnership with WSU, is guided by the ongoing participation of a Technical Advisory Group of agricultural and safety representatives and an Expert Working Group of on-the-ground dairy managers and workers involved in day-to-day activities of milk production and animal handling. (PNASH Pilot Project 2011-2013) Occupational hazards of adolescent farm workers is a topic many argue is critical, but for which there have been few directed activities in the research and healthcare community. This project tailored the RCAT survey instrument to develop a tool for clinicians to assess and reduce the risks of their adolescent agricultural patients. (PNASH Pilot Project 2010-2011) The forest service workforce, a predominately Spanish-speaking and immigrant population, faces language barriers, isolated working environments, and dangerous working conditions placing them at risk for injury and illness. This project explored the occupational safety and health concerns of a Latino workforce to inform a promotora program for education and prevention. (NIOSH 2011-2013) This Pilot, funded by NIOSH, seeks to characterize the burden of heat-related illness in Washington State agriculture, potential risk factors for heat-related illness, and methods for quantifying the physiological effects of heat exposures on agricultural workers. (PNASH Pilot Project 2011-2012) Many factors impact the health of agricultural workers, including workplace hazards, exposure to chemicals, limited resources, and limited access to medical care. This purpose of this project is to assess workplace stress in agricultural workers to understand the role of occupational stress has on their health and well-being. (NIOSH/CDC, 1996-2001) This study evaluated the accuracy of cholinesterase determinations performed on the EQM Testmate Kit??? in field conditions as compared to those conducted in a laboratory. It also examined whether a field-based kit provides advantages in promptness of worker removal. Seventy-five orchard workers with regular exposure to Guthion, Diazinon, and several other organophosphate and N-methyl carbamate pesticides had samples of their blood and urine taken during the growing season. Samples were also obtained from five unexposed workers. (NIOSH/CDC, 1997-2000) The main goal of this project was to develop a validated questionnaire for the detection of asthma in community-based studies of Spanish-speaking Mexican populations in Washington State. A secondary goal was to collect pilot prevalence data on asthma in the Yakima Valley Hispanic population. Asthma, now recognized as one of the most common occupational lung diseases, is associated with many differing agricultural exposures. The Spanish-speaking migrant and seasonal farm worker population represents a large percentage of Region X and the U.S.
(PNASH Pilot, 1998-1999) Agricultural use of pesticides and fertilizers has grown dramatically in the last several years. Contamination of the hydrologic system by these chemicals is an increasing concern and much effort has been made to build databases containing measurements of these chemicals in drinking water sources. These geographically-referenced data (accessible by latitude/longitude coordinates of the target residence or facility) have yet to be used in epidemiologic studies of health outcomes. (PNASH Pilot, 1998-1999) This project furthered agricultural health and safety research on children by looking at parents’ attitudes towards farm safety and children’s labor. It considered how these attitudes and characteristics of farm operation affect the use of children’s labor as well as the quality of safety-related training and supervision received by children. Data were collected through interviews with twenty-five farm families in two counties in eastern Washington. (PNASH Pilot 1999-2000) Vashon Island, Washington, is situated north of the former ASARCO smelter in Ruston/Tacoma. Prevailing winds carried arsenic and lead from the smelter to the Island. Surface soils are contaminated at levels well above background for both elements. Persons living on the island are subject to potentially elevated exposures to arsenic and lead. Persons at highest risk of exposure are likely to be those who have relatively intimate contact with soil. Those who eat locally grown crops are also at risk. (PNASH Pilot 2000-2001) Compelling evidence from whole-animal and tissue culture studies indicate that pesticides, especially organophosphate pesticides (OP), induce oxidative stress. While the cholinergic properties of OPs are well-established, our understanding of their oxidative stress properties (especially on humans) is limited. (PNASH Pilot, 2000-2001) Eastern Washington University Center for Farm Health and Safety researcher Mark Landa’s studied the links between literacy and safety among Hispanic farm workers. He measured the comprehensibility of graphics such as signs and symbols and text such as paragraphs and labels. His work indicates that less than half of the pesticide safety materials used in his study were understood by the subjects. The more text there was, the harder it was to understand. Education and literacy were only part of the capacity to learn. (NIOSH/CDC, 2000-2001) Agriculture has been recognized as one of the most hazardous occupations in the United States. In an industry where a quarter of all farm operators are 65 years of age or older, age becomes a serious factor when considering potential risk for injuries. This project explored reasons influencing the retirement decisions of farmers within five counties in Eastern Washington. The research project investigated reasons why leaving farm, not participating in farm work, and transitioning farm ownership to others is so difficult for elder farmers. (PNASH Pilot, 2001-2004) This project was conducted through the EWU Center for Farm Safety and Health, which has compared formal and informal (through story telling) communication models used to promote safety. The two models have been tested with intergenerational family farmers and non-intergenerational farmers. This project identified the variables and allowed us to test the efficacy of incorporating informal discourse into formalized, farm safety intervention strategies. (PNASH Pilot, 2001-2005) Forty-two noise exposures and 164 whole-body (WBV) and hand-arm (HAV) vibration exposures were collected from 43 forestry workers in six trades employed by two forestry companies. Data were collected on 10 days over 8 weeks during a various felling, logging, and log handling operations. (PNASH Pilot Project 2002-2003) PNASH was invited by the EPA and the Council of Agricultural Science and Technology (CAST) to evaluate a Worker Protection Standard train-the-trainer model curriculum; to determine its feasibility for use throughout the country; to ensure that master trainers obtain the necessary skills, tools, and knowledge to train others; and to impart knowledge to trainers. PNASH developed the instruments used to evaluate the trainers, including those with low literacy. (NIOSH 2006-2009) Oregon Health and Sciences University researchers conducted a video observation study of loggers at work, concentrating on fallers, using video equipment attached to a hard hat for a first-person point of view. This is a promising technique for research and training. (NIOSH 2007-2008) Dairy workers in concentrated animal feeding operations may be at risk for respiratory illness from bioaerosols. This exploratory project in partnership with Washington State University quantified both organism and endotoxin levels and correlated them with environmental factors. A sampling methodology for organism dense environments was developed and described. (NIOSH 2008-2009) Conducted by the Alaska Marine Safety Education Association, this project informed federal policy on how often refresher training is need for survival equipment and emergency drill conductors. This project is a good example of research helping policy makers in decision-making. The results of this study are important to commercial fishing vessel safety trainers as well. A further direction for research would be to find out what an optimum interval of refresher training would be by providing periodic refresher training of skills and measuring retention rates. (NIOSH 2008-2010) This small project predicted expected ChE depression based on regulatory decision-making frameworks and compares those predictions with actual outcomes in Washington State’s ChE monitoring program. Scientists at PNASH and the Centers for Disease Control (CDC) are working to improve the current ChE laboratory test – increasing accuracy to ensure a ChE depression is due to pesticide exposure and identify the specific pesticide involved. (PNASH PIlot Project 2010-2011) The Oregon Crab Fishing Safety Assessment evaluated the effectiveness of current US Coast Guard and Oregon Dungeness Crab Commission safety initiatives and safety training programs, and field-tested five different PFDs; focusing on PFD attitudes, worker attitudes, and perceived risks. The results of this study provide feedback for policymakers and the industry considering additional safety measures, and contribute, with a local perspective, to future prevention-focused safety efforts in Oregon. (PNASH Pilot Project 2013-2014) Previous human and animal studies suggest that some pesticides, including those typically applied by agricultural pesticide handlers, may increase the risk of parkinsonism (PS). This study assessed the feasibility of conducting neurological exams on active pesticide handlers, to determine the prevalence PS symptoms. (PNASH Pilot Program 2012-2013) Farmworkers are at an increased risk for heat-related illness given their work requires heavy exertion in an outdoor setting. This study explored the personal, cultural, environmental, and work-related risk factors for heat-related illness for Latino farmworkers in Oregon. (PNASH Pilot Project 2013-2015) This video project will integrate current pesticide safety standards into the video, Fieldworker Orientation and Food Safety/Orientation/Orientation para el Trabajador Agricola y Seguridad Alimenticia. The video is bilingual and will be used by growers and workers in Washington and across the United States to ensure effective food safety practices. (PNASH Pilot Project 2013-2015) Dairy farming requires close contact between people and animals, with transmissions that can be a source of zoonotic disease. The development of evidence-based best practices for managing transmission of microorganisms in the farm environment could help dairy production minimize risks to workers, livestock, and the general public. (PNASH Pilot 2013-2015) Filipino migrant and immigrants are the dominant racial/ethnic workforce in fish processing in Unalaska/Dutch Harbor, Alaska, composing 28% of the total resident population. This pilot project will assess risk factors for occupational illness and injury due to physically demanding work and unpredictable working conditions among Dutch Harbor/Unalaska's Filipino migrant fishing workers. (PNASH Pilot Project 2014-2015) Commercial fishing is the most hazardous occupation in the U.S. with workers experiencing both acute and chronic health risks. While fishing fatality data is an area of active research, information on chronic health conditions that affect fishermen is limited. This one-year study assessed chronic health conditions and habits among the gillnet fleet based out of Cordova, AK. (PNASH Pilot Project 2014-2015) With PNASH funding, this project addresses a high hazard occupation where information on non-fatal (but serious) injuries are limited. This pilot estimates non-fatal injuries among commercial fishermen, describes high-risk work processes, and identifies particularly vulnerable worker populations, such as young workers. (PNASH Pilot Project 2015-2016) The dairy industry has a high rate of injury claims, leading to adverse impacts on compensation insurance costs. The project will build on existing PNASH collaborations with the WA Department of Labor and Industries SHARP program, to obtain access to worker’s compensation claims data as the primary analysis source. This project will lay the foundations for an ongoing effort to conduct surveillance of injuries and compensation claims in the WA dairy industry. (PNASH Pilot Project 2015-2016) This project developed a pilot self-paced OEM e-Learning Series targeting physician assistant & nurse practitioner students to improve their ability to recognize, diagnose, treat, prevent, and provide patient education pertaining to occupational injuries and illnesses in the agricultural community.